This cover scene does not appear in this story! In fact, there's no simian of any sort in the story! 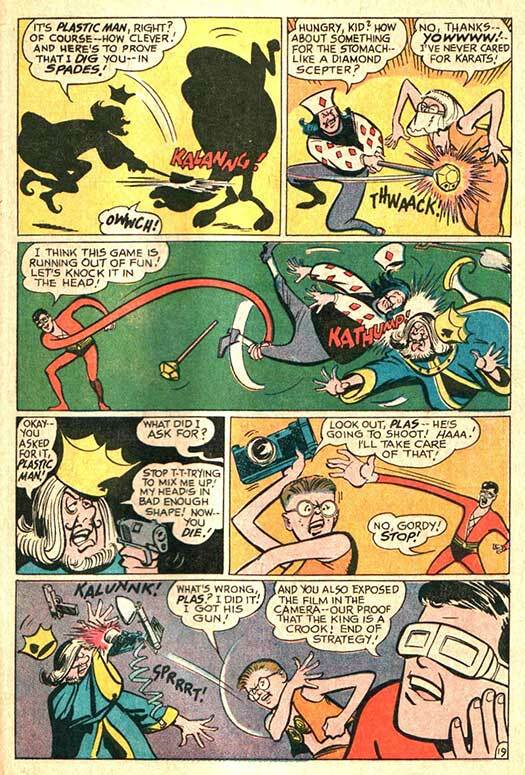 Apparently, then-publisher (and cover penciler) Carmine Infantino's fetish for apes got the best of him! At least the captions are accurate! 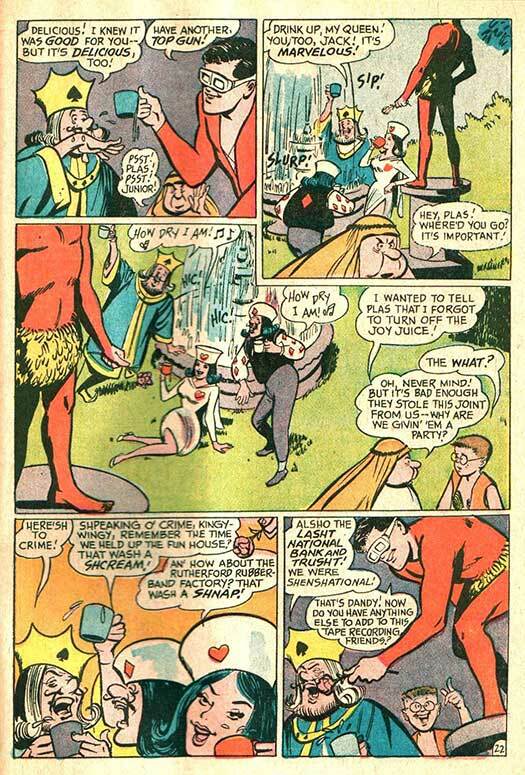 This tale concerns the Silver Age Plastic Man's dad...the Golden Age Plastic Man! 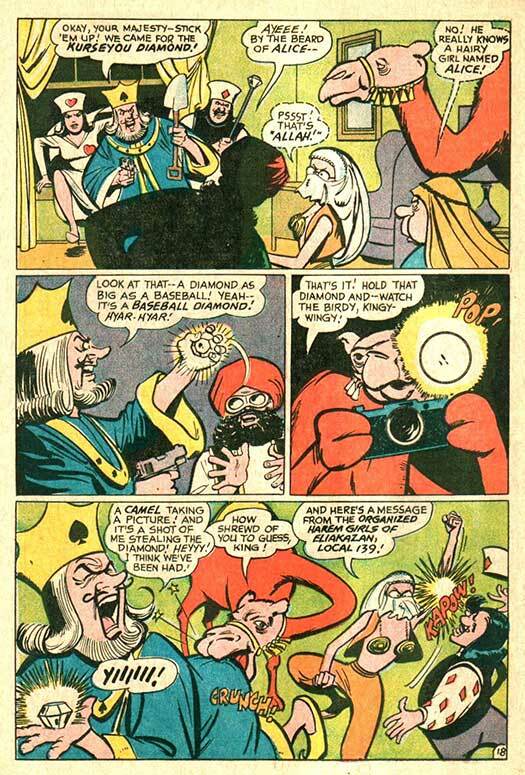 Now in retirement, the older super-hero is about to lose his only source of income, his Plastic Acres retirement home to the notorious criminal King of Spades! Another ape (on the Jerry Lewis cover)! Wow, they were everywhere in those days! 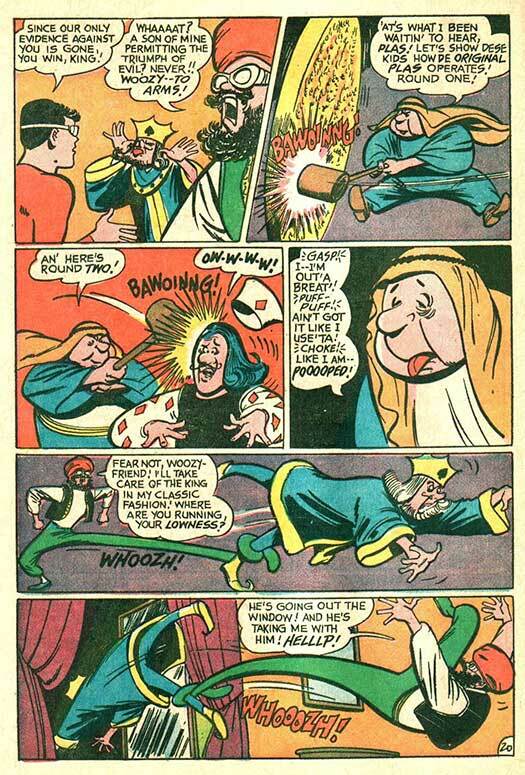 Though writer Arnold Drake would remain for the rest of the title's run, this was artist Win Mortimer's swan song as he went on to extended stays on both Legion of Super Heroes (in Adventure Comics and Action Comics) and Supergirl (in Adventure Comics, when Legion transferred over to Action Comics)! 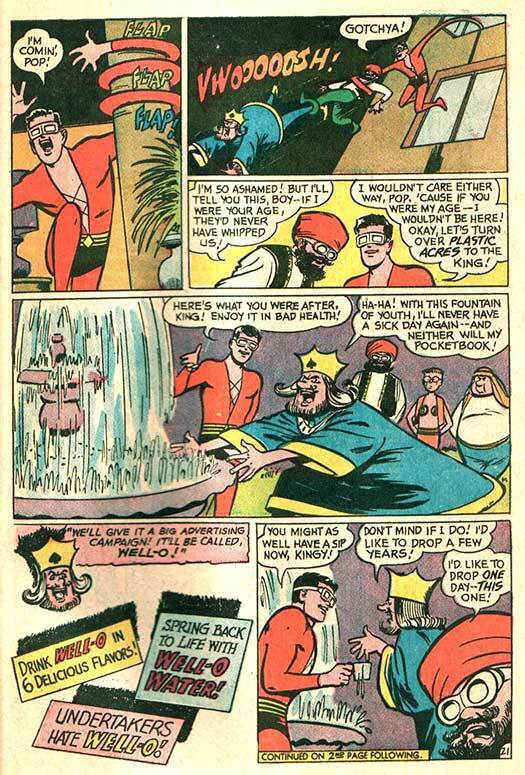 Supposedly, DC found that comics with gorillas on the cover sold well. 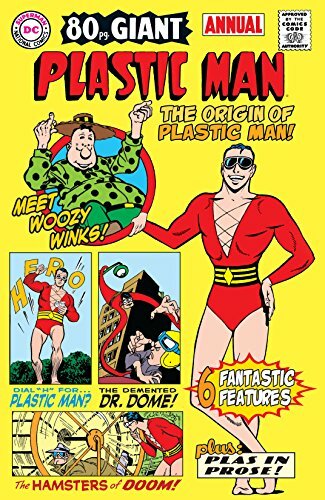 But they did not want to wear out the gimmick, so the rule was that only one DC comic each month would have an ape cover. That's the legend, anyway. It was mentioned by Julius Schwartz in his autobiography, and by Les Daniels in his book about DC. I doubt if there was a hard-and-fast rule, or a specific number. More likely, the editor-in-chief just said, "Try not to over do it." And, as we see in this post, they had two covers with apes that same month. 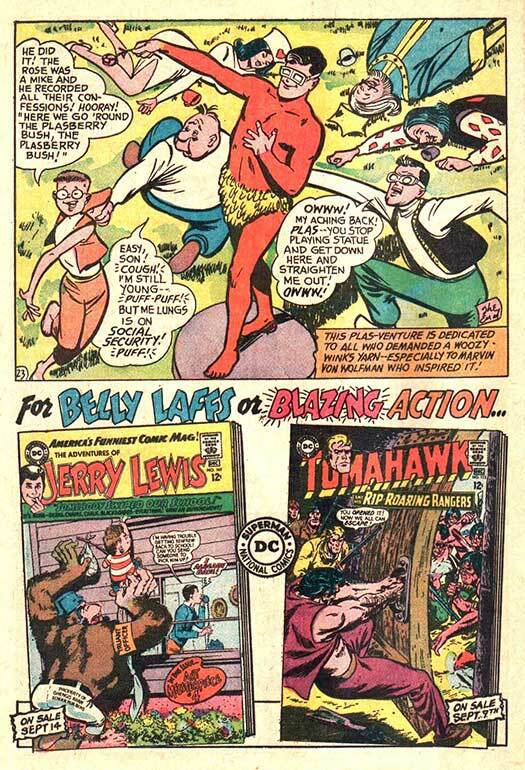 Also, AFAIK, there were fewer than 12 DC ape covers in 1967. The others were Superboy #142, Wonder Woman #170, Doom Patrol #112, and Inferior Five #3. 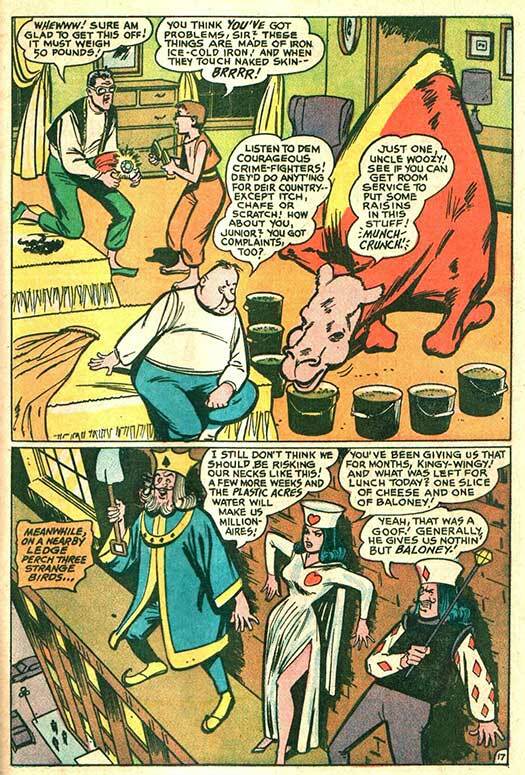 Batman #198 reprinted a 1950s story that had a gorilla in it, but it was not featured on the cover. 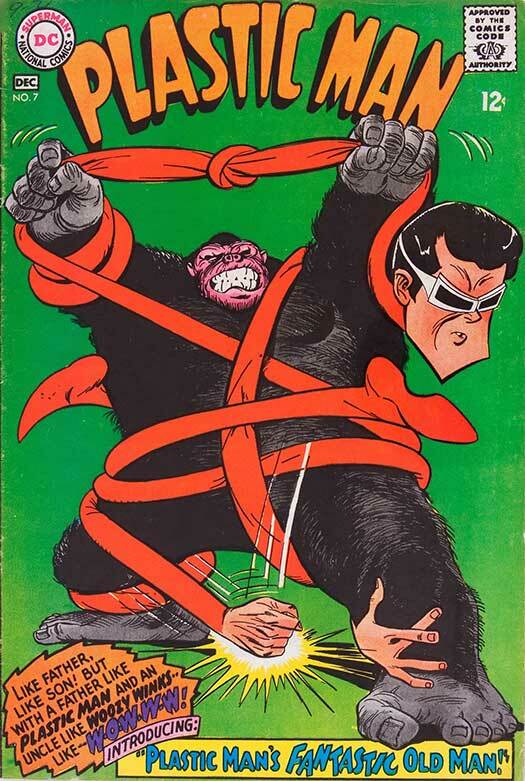 And Plastic Man #4 had a gorilla that appeared very briefly in the story, but not on the cover.